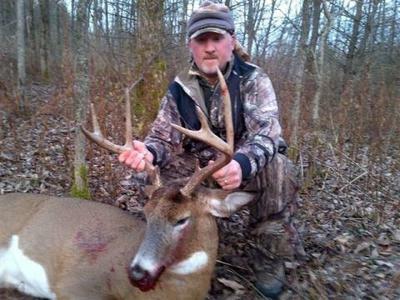 Shot him on the Tuesday after opening day gun south 2012. Had one of the best seasons ever, saw more big bucks this year than the last 4 or 5 put together. Bow season was unbelievable, although I messed up on a couple of monsters. This buck wasn't the biggest one I saw, but I was extremely happy with him. He dresses out at 200 lbs. and carried 8pts. With 10 inch G-2s.